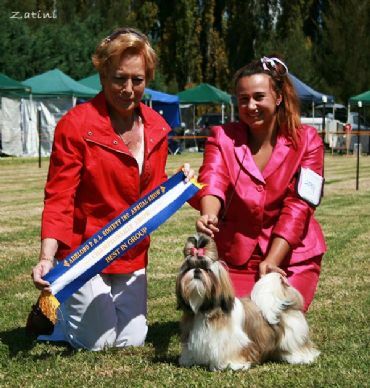 GORDAN GAINS HER AUSTRALIAN CHAMPIONSHIP TITLE AT 8 MONTHS OLD. 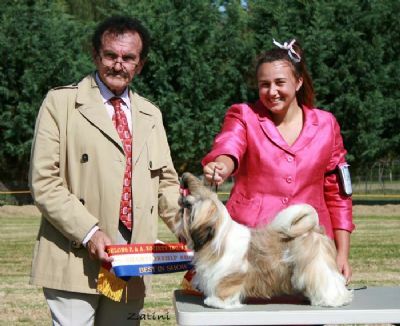 GORDAN WINS BEST IN SHOW ALL BREEDS AT THE AGE OF 8 MONTHS OLD. Congrats to Gordan and Sarah winning RUNNER UP BEST EXHIBIT IN GROUP, at the tender age of 7 months. Gordan is sure to follow in her mother's paw prints. 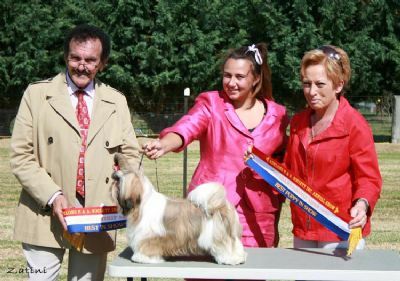 Gordan's Debute show's and wins 1 BEST BABY PUPPY IN SHOW AND 3 BEST BABY IN GROUP.